Try Ovation Break A Part. Milk chocolate filled with marzipan. Marzipan is a sweet gourmet candy made from almonds. Gently tap the Break A Part on a hard surface and unwrap. 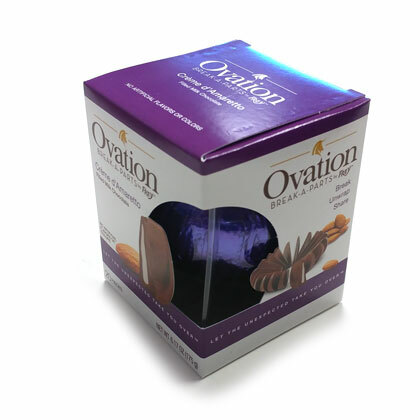 Has 20 premium chocolate segments. Net weight 6.17 oz.